Isa Mujahid & Camelle Scott-Mujahid Co-Founders CT Core - Organize Now! Episode 16. Organizing for Freedom w/ Camelle Scott-Mujahid & Isa Mujahid of CT Core - Organize Now! Listen live Friday June 16th at noon, 7pm and again Sunday at 3pm (EST) on WNHH Community Radio, 103.5 fm New Haven, or stream online. CT Core - Organize Now! 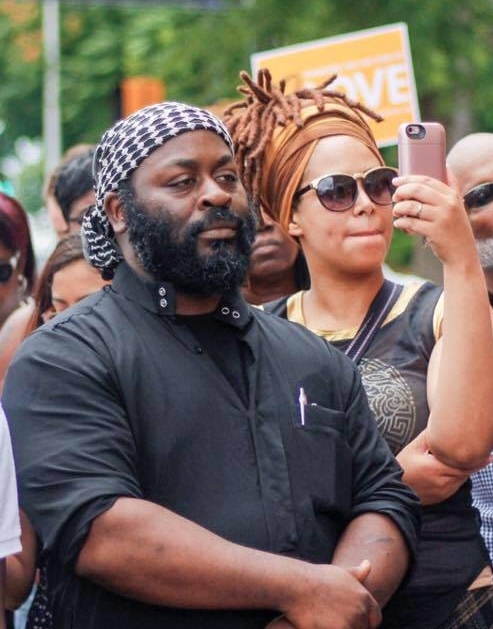 Is an organization founded by the husband and wife team of Isa Mujahid and Camelle Scott-Mujahid, both experienced community organizers and leaders. The goal of CT Core - Organize Now! is to build anti-racist community and to co-create a movement for greater racial equity in the state of Connecticut. They do this work through training a network of grassroots leadership and doing policy work focused on dismantling institutionalized racism and inequity in our state. CT Core has four racial justice issues as their focus: criminal justice reform, education equity, economic justice & environmental justice/health equity. Isa and Camelle joined host Tagan Engel to share their insights into the importance of community building and how to transform the racial and economic divisions that deeply divide the state of Connecticut and our society as a whole. To get involved or to support the work of CT Core- Organize Now, CLICK HERE. We all need some love and goodness to keep us going, especially all of you who are working really really hard, and just scraping by. Check out this post for some simple, delicious and inexpensive summer drink ideas. And...these don't have sugar so you can skip the soda and enjoy something even better! Sorel/Hibiscus Iced Tea, Fresh Mint Iced Tea, Passionfruit Cooler with Chia and Bubbly Fruit Spritz with Sacred Basil Seed...these are sooo good!